More couples than ever before are choosing to forgo large traditional wedding ceremonies and are instead opting for low-key nuptials in exotic locations. The reasons behind such an uptick in destination weddings vary, but many couples cite budget and backdrops as a contributing factor. 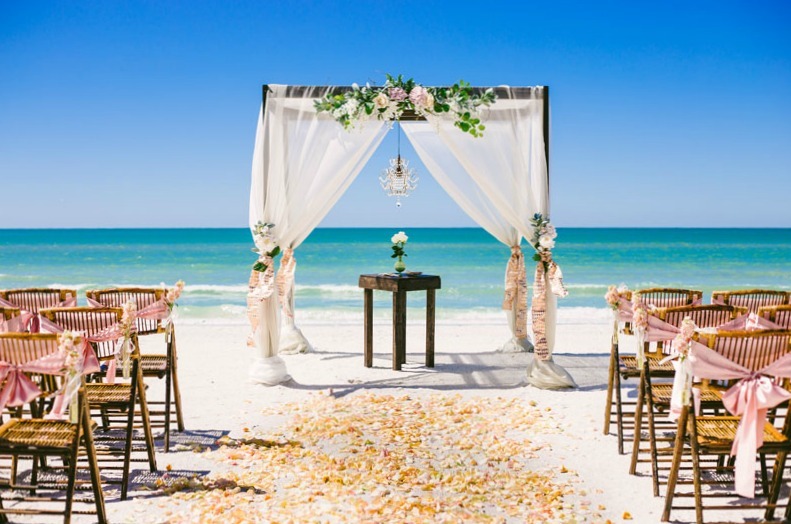 After all, why not skip an expensive reception for distant relatives when you can merge a wedding and a honeymoon in an exciting locale and share that experience with your nearest and dearests? Start by searching airfare rates to your wedding destination and make a list of online platforms that offer good discounts. Better yet, check out rewardexpert.com to see if you can use your miles and points to get you, your future spouse and maybe even some guests to the wedding, whether it is in a European castle or on the beach in Maui. The free service will tell you if you currently have enough rewards to get to you an award ticket, and if you do it far enough in advance you can use their strategies to accrue enough rewards to earn a ticket. Many routes only require three months to earn a ticket from scratch so in theory with the right planning a year in advance you can earn a pair of tickets for the lucky couple and another pair for some lucky guests. It's advisable to sign up with reputable platforms like this one and others to assist you with travel details, information on rewards, discounts, packages and also save you tons of stress, time and money while you push your focus on to other things. Share this travel and discount information and other details about your upcoming destination wedding on a free Wedding Website. Organization is key to any successful event, especially when it involves coordinating with other people. A wedding website is an easy and effective way to ensure all of your guests are on the same page as far as where and how best to reserve travel and hotel bookings, gift registries, suggested attire (both for the wedding and the location), and more. With destination weddings, it is also highly advisable to include a printable map pinpointing important places with key event dates and times. Hiring a local planner can significantly save you money over the long haul and will certainly ease much of the burden of researching and securing local vendors. This is especially true in locations where English is spoken as a second language. Local wedding and event consultants have the experience and resource access to get necessary jobs done faster, easier, cheaper, and with more assurance than the average bride or groom. They will also be equipped to share with you pertinent information about licensing requirements and any local customs guests should be aware of. Not sure where to begin? 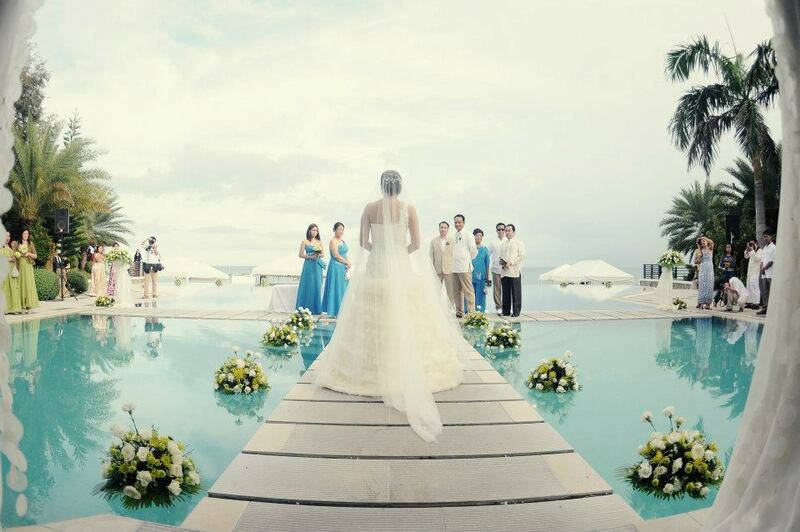 Most resorts nowadays will include a coordinator in their wedding packages or have various event planners who they will recommend. Such a wedding and event planner will help you in dealing with everything from the big tasks of hiring vendors to the detail logistics of vetting special requests and creating gift bags. While there is a special something about having your marriage license stamped during your destination wedding, it can be an expensive and frustrating experience. Different locations will have their own series of legalities pertaining to when a couple is legally able to marry. For example, in the Turks and Caicos, you must be in the country for 24 hours before your ceremony, while France requires a minimum of 40 days. Additionally, many places will require special appointment setting with government officials which may or may not coordinate with your wedding plans. In the end, you can save significantly on legal fees, potential extra night charges, official document charges, and transportation fees by simply getting your marriage in ink before you fly out. When it comes to planning a destination, it's important to take proactive steps and plan early. From getting local wedding planners, to booking your flight and using rewards that could help you save money; ensure that you have a checklist that helps guide you as you create the wedding of your dreams.